Would you believe that NASCAR is the No. 1 spectator sport in the United States? It’s the second most popular televised sport broadcast worldwide and continues to grow in popularity, evolving from a competition that was originally between cars that hadn’t been altered from their original factory build. Times have changed and technology has advanced, so naturally the sport has evolved, but how did stock car racing begin, exactly? How did these classic cars start this immensely popular American tradition? Stock car racing was developed in the days of Prohibition, and began to spread in the 1920’s. Interestingly, stock cars were modified during this time to help alcohol producers outrun law enforcement while transporting liquor, which had become illegal to sell. The cars looked like all the other automobiles on the road, but they had been altered slightly to make them capable of reaching high speeds. “Moon runners”, as these individuals were called, began bragging about their 120 mph exploits, and soon after they began racing on the weekends. Thus, stock car racing was born. Prohibition ended in 1933, and by this time racing had become extremely popular, as did the practice of modifying normal vehicles. The sport continued its growth though the next 15 years, and by 1948 it was a widespread sport. The sport was different in every region though, and eventually NASCAR was created in order to bring cohesiveness and regulation to the sport. NASCAR was formed on February 21, 1948 by a man named Bill France. France began talks with drivers, mechanics, and car owners at the Ebony Bar at the Streamline Hotel at Daytona Beach, FL on December 14, 1947, to discuss uniform rules and insurance coverage, which resulted in the NASCAR formation. France is credited for many of the advancements of stock car racing as well as NASCAR, including the development of the Daytona 500 races, and the building of the Talladega Superspeedway that opened in 1969. 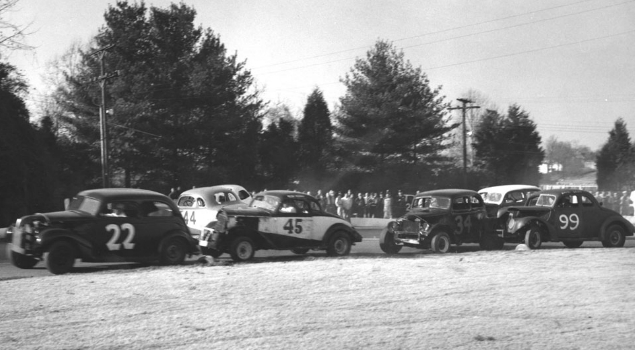 Stock car racing saw a lot of changes throughout the years, leading to the races we see today. Needless to say though, without the powerful classic cars of the 1920’s, stock car racing might have never come to be. At Condon Skelly, we appreciate the history behind antique and classic cars, trucks, and motorcycles. Since 1967, we’ve been helping our customers protect their classics with affordable, industry-leading insurance coverage. We’re a group of collectors, enthusiasts, and professionals who specialize in insuring all types of collector vehicles. Please contact us today to learn more at 800.257.9496.